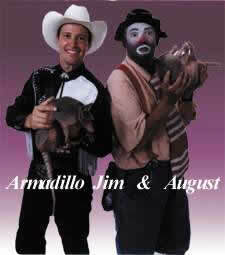 the armadillo derby is well know at conventions, trade shows, comdex convention held in las vegas, and on television. former president george h.w. bush's inaugural gala in washington d.c.
the micrografx chili for children benefit for missing and exploited children at the mgm hotel in las vegas during comdex, the world's largest computer trade show.